Click here to access the ride schedule, current week's cue sheets, and prior year's cue sheets. 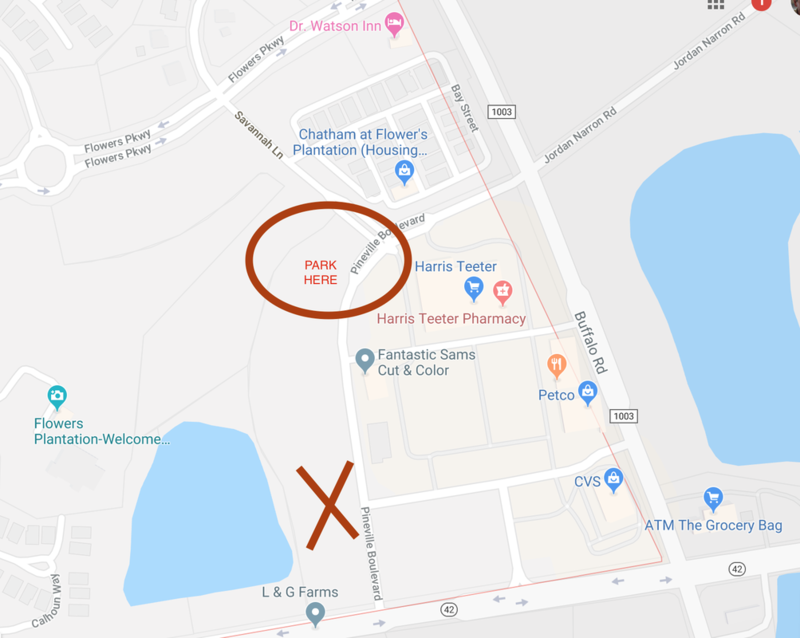 We start at Flowers Crossroads which is the Harris Teeter complex at the intersection of Highway 42/Buffalo Road in Clayton. Park in the gravel lot on Pineville Blvd just behind the Harris Teeter. Thanks to Becky Flowers for allowing us to park at Flowers Crossroads. Please consider joining other team members at a local venue after each ride. The location will be announced at the start of the training ride that day. Each ride will be organized by speed first, then distance, depending of course, upon how many people show. A typical A / B / C / D grouping will exist. During the early season the groups will be 18 / 16 / 14 / 12. Keep in mind these are designed to help group cyclists by ability/desire. ​If you're riding solo for 30 mi at 15 avg, then you should join the B (16) group on Saturday. 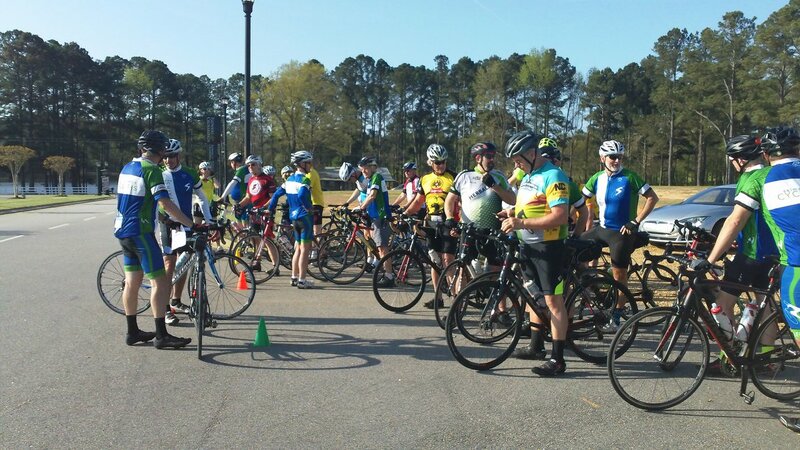 If you're new to cycling and would like to join the Cyclepaths on Saturday, please contact Andy Anderson (aanderjr88 at gmail.com) to help make your transition to team cycling a comfortable one. "SAG" stands for support and gear. If you are having a mechanical, fatigue or other issues the SAG is a welcome sight. 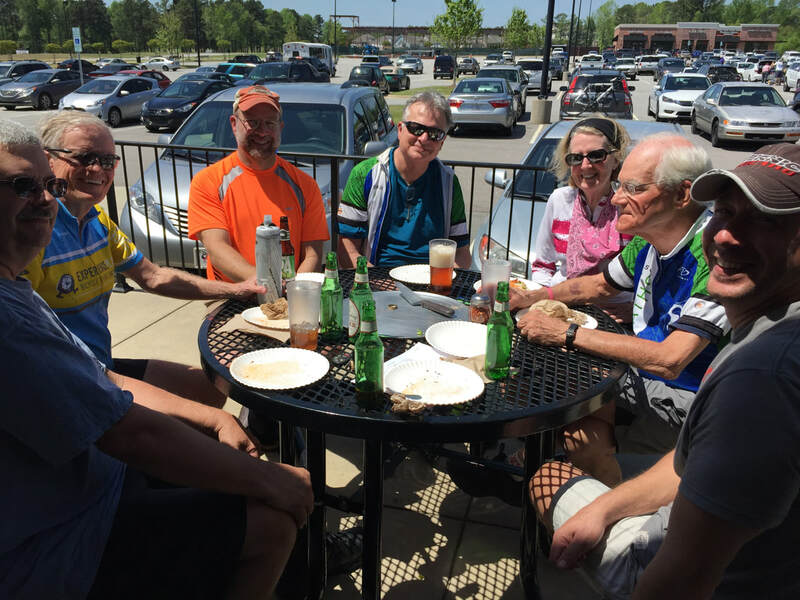 One of the distinctions of our Bike MS team is that we provide a SAG vehicle for each ride. If you are interested in supporting your team by being a SAG driver, please contact John Rider. Also, please read these Guidelines. We do not have a weather hot line so you must decide for yourself whether you want to chance rainy weather. A number of us will ride in a drizzle particularly when the weather gets warmer. Our SAG wagon system may be unavailable on those inclement weather days. However, one of us can usually be talked into skipping a rainy ride to run SAG.